Boston (pronounced ) is the capital and largest city of the Commonwealth of Massachusetts in the United States. Boston also serves as county seat of Suffolk County. The city proper covers 48 square miles (124 km2) with an estimated population of 645,966 in 2014, making it the largest city in New England and the 24th largest city in the United States. The city is the anchor of a substantially larger metropolitan area called Greater Boston, home to 4.5 million people and the tenth-largest metropolitan area in the country. Greater Boston as a commuting region is home to 7.6 million people, making it the sixth-largest Combined Statistical Area in the United States. One of the oldest cities in the United States, Boston was founded on the Shawmut Peninsula in 1630 by Puritan settlers from England. It was the scene of several key events of the American Revolution, such as the Boston Massacre, the Boston Tea Party, the Battle of Bunker Hill, and the Siege of Boston. Upon American independence from Great Britain, the city continued to be an important port and manufacturing hub, as well as a center for education and culture. Through land reclamation and municipal annexation, Boston has expanded beyond the original peninsula. Its rich history helps attract many tourists, with Faneuil Hall alone attracting over 20 million visitors. Bostons many firsts include the United States first public school, Boston Latin School (1635), and first subway system (1897). The areas many colleges and universities make Boston an international center of higher education and medicine, and the city is considered to be a world leader in innovation for a variety of reasons. Bostons economic base also includes finance, professional and business services, and government activities. The city has one of the highest costs of living in the United States, though it remains high on world livability rankings. Boston is one of the eight cities in the United States considered an alpha city by the study GaWC5. Bostons early European settlers had first called the area Trimountaine (after its "three mountains"—only traces of which remain today) but later renamed it Boston after Boston, Lincolnshire, England, from which several prominent colonists had come. The renaming, on September 7, 1630 (old style), was by Puritan colonists from England, who had moved over from Charlestown earlier that year in quest of fresh water. Their settlement was initially limited to the Shawmut Peninsula, at that time surrounded by the Massachusetts Bay and Charles River and connected to the mainland by a narrow isthmus. The peninsula is known to have been inhabited as early as 5000 BC. In 1629, the Massachusetts Bay Colonys first governor, John Winthrop, led the signing of the Cambridge Agreement, a key founding document of the city. Puritan ethics and their focus on education influenced its early history; Americas first public school was founded in Boston in 1635. Over the next 130 years, the city participated in four French and Indian Wars, until the British defeated the French and their native allies in North America. Boston was the largest town in British North America until Philadelphia grew larger in the mid 18th century. Many of the crucial events of the American Revolution—the Boston Massacre, the Boston Tea Party, Paul Reveres midnight ride, the battles of Lexington and Concord and Bunker Hill, the Siege of Boston, and many others—occurred in or near Boston. After the Revolution, Bostons long seafaring tradition helped make it one of the worlds wealthiest international ports, with rum, fish, salt, and tobacco being particularly important. The Embargo Act of 1807, adopted during the Napoleonic Wars, and the War of 1812 significantly curtailed Bostons harbor activity. Although foreign trade returned after these hostilities, Bostons merchants had found alternatives for their capital investments in the interim. Manufacturing became an important component of the citys economy, and by the mid-19th century, the citys industrial manufacturing overtook international trade in economic importance. 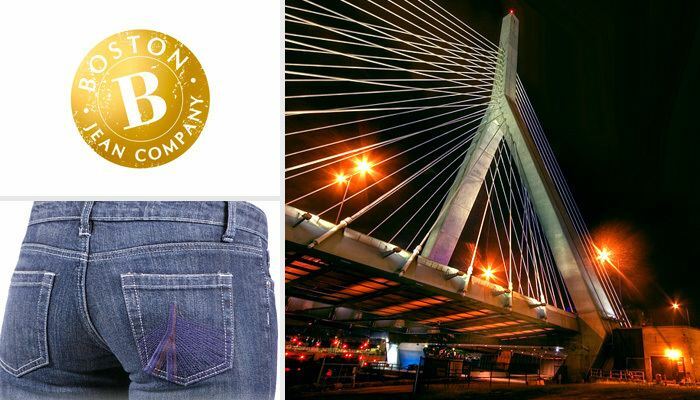 Until the early 20th century, Boston remained one of the nations largest manufacturing centers and was notable for its garment production and leather-goods industries. A network of small rivers bordering the city and connecting it to the surrounding region facilitated shipment of goods and led to a proliferation of mills and factories. Later, a dense network of railroads furthered the regions industry and commerce. During this period Boston flourished culturally as well, admired for its rarefied literary life and generous artistic patronage, with members of old Boston families—eventually dubbed Boston Brahmins—coming to be regarded as the nations social and cultural elites. Boston also became a center of the abolitionist movement. The city reacted strongly to the Fugitive Slave Law of 1850, contributing to President Franklin Pierces attempt to make an example of Boston after the Anthony Burns Fugitive Slave Case. 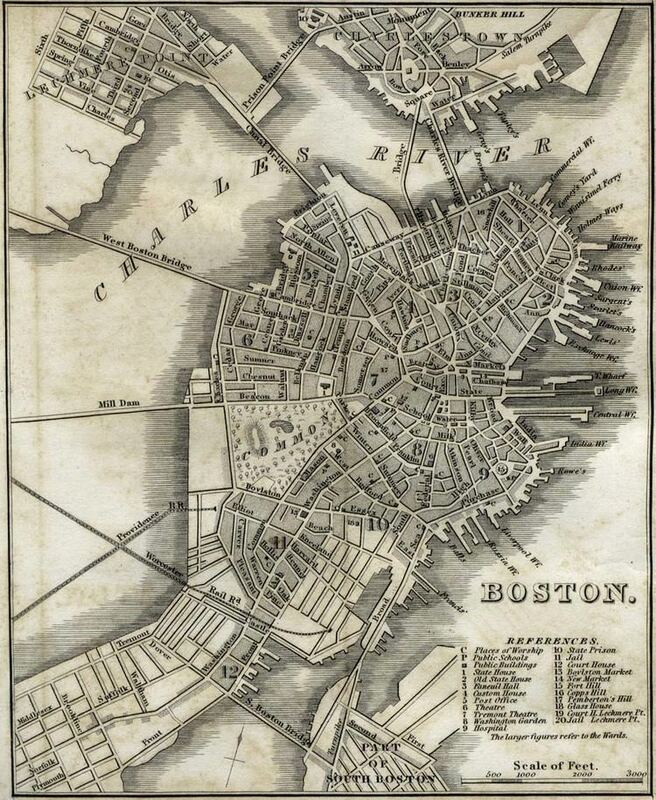 In 1822, the citizens of Boston voted to change the official name from "the Town of Boston" to "the City of Boston", and on March 4, 1822, the people of Boston accepted the charter incorporating the City. At the time Boston was chartered as a city, the population was about 46,226, while the area of the city was only 4.7 square miles (12 km2). In the 1820s, Bostons population grew rapidly, and the citys ethnic composition changed dramatically with the first wave of European immigrants. Irish immigrants dominated the first wave of newcomers during this period, especially following the Irish Potato Famine; by 1850, about 35,000 Irish lived in Boston. In the latter half of the 19th century, the city saw increasing numbers of Irish, Germans, Lebanese, Syrians, French Canadians, and Russian and Polish Jews settled in the city. By the end of the 19th century, Bostons core neighborhoods had become enclaves of ethnically distinct immigrants—Italians inhabited the North End, Irish dominated South Boston and Charlestown, and Russian Jews lived in the West End. Irish and Italian immigrants brought with them Roman Catholicism. Currently, Catholics make up Bostons largest religious community, and since the early 20th century, the Irish have played a major role in Boston politics—prominent figures include the Kennedys, Tip ONeill, and John F. Fitzgerald. Between 1631 and 1890, the city tripled its area through land reclamation by filling in marshes, mud flats, and gaps between wharves along the waterfront. 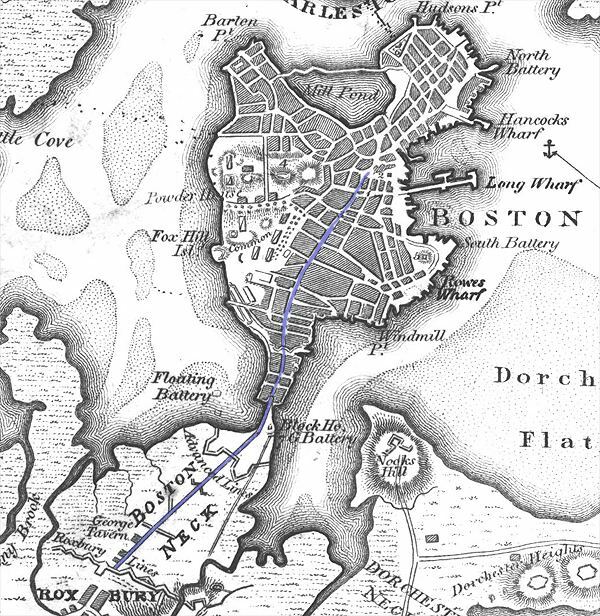 The largest reclamation efforts took place during the 19th century; beginning in 1807, the crown of Beacon Hill was used to fill in a 50-acre (20 ha) mill pond that later became the Haymarket Square area. The present-day State House sits atop this lowered Beacon Hill. Reclamation projects in the middle of the century created significant parts of the South End, the West End, the Financial District, and Chinatown. After The Great Boston Fire of 1872, workers used building rubble as landfill along the downtown waterfront. During the mid-to-late 19th century, workers filled almost 600 acres (2.4 km2) of brackish Charles River marshlands west of Boston Common with gravel brought by rail from the hills of Needham Heights. The city annexed the adjacent towns of South Boston (1804), East Boston (1836), Roxbury (1868), Dorchester (including present day Mattapan and a portion of South Boston) (1870), Brighton (including present day Allston) (1874), West Roxbury (including present day Jamaica Plain and Roslindale) (1874), Charlestown (1874), and Hyde Park (1912). Other proposals, for the annexation of Brookline, Cambridge, and Chelsea, were unsuccessful. By the early and mid-20th century, the city was in decline as factories became old and obsolete, and businesses moved out of the region for cheaper labor elsewhere. Boston responded by initiating various urban renewal projects under the direction of the Boston Redevelopment Authority (BRA), which was established in 1957. In 1958, BRA initiated a project to improve the historic West End neighborhood. Extensive demolition was met with vociferous public opposition. The BRA subsequently reevaluated its approach to urban renewal in its future projects, including the construction of Government Center. In 1965, the first Community Health Center in the United States opened, the Columbia Point Health Center, in the Dorchester neighborhood. It mostly served the massive Columbia Point public housing complex adjoining it, which was built in 1953. The health center is still in operation and was rededicated in 1990 as the Geiger-Gibson Community Health Center. The Columbia Point complex itself was redeveloped and revitalized into a mixed-income community called Harbor Point Apartments from 1984 to 1990. By the 1970s, the citys economy boomed after 30 years of economic downturn. A large number of high rises were constructed in the Financial District and in Bostons Back Bay during this time period. This boom continued into the mid-1980s and later began again. Hospitals such as Massachusetts General Hospital, Beth Israel Deaconess Medical Center, and Brigham and Womens Hospital lead the nation in medical innovation and patient care. Schools such as Boston College, Boston University, the Harvard Medical School, Northeastern University, Wentworth Institute of Technology, Berklee College of Music and Boston Conservatory attract students to the area. Nevertheless, the city experienced conflict starting in 1974 over desegregation busing, which resulted in unrest and violence around public schools throughout the mid-1970s. Boston is an intellectual, technological, and political center but has lost some important regional institutions, including the acquisition of The Boston Globe by The New York Times, and the loss to mergers and acquisitions of local financial institutions such as FleetBoston Financial, which was acquired by Charlotte-based Bank of America in 2004. Boston-based department stores Jordan Marsh and Filenes have both been merged into the Cincinnati–based Macys. Boston has experienced gentrification in the latter half of the 20th century, with housing prices increasing sharply since the 1990s. Living expenses have risen, and Boston has one of the highest costs of living in the United States, and was ranked the 129th most expensive major city in the world in a 2011 survey of 214 cities. Despite cost of living issues, Boston ranks high on livability ratings, ranking 36th worldwide in quality of living in 2011 in a survey of 221 major cities. On April 15, 2013, two Chechen Islamist brothers exploded two bombs near the finish line of the Boston Marathon, killing three people and injuring roughly 264. Boston has an area of 89.6 square miles (232.1 km2)—48.4 square miles (125.4 km2) (54.0%) of land and 41.2 square miles (106.7 km2) (46.0%) of water—and is the countrys third most densely populated city that is not a part of a larger citys metropolitan area. This is largely attributable to the rarity of annexation by New England towns. The citys official elevation, as measured at Logan International Airport, is 19 ft (5.8 m) above sea level. The highest point in Boston is Bellevue Hill at 330 feet (100 m) above sea level, and the lowest point is at sea level. Situated near the Atlantic Ocean, Boston is the only state capital in the contiguous United States with an ocean coastline. The geographical center of Boston is in Roxbury. Due north of the center we find the South End. This is not to be confused with South Boston which lies directly east from the South End. North of the South End is East Boston and southwest of East Boston is the North End. Boston is surrounded by the "Greater Boston" region and is contiguously bordered by the cities and towns of Winthrop, Revere, Chelsea, Everett, Somerville, Cambridge, Newton, Brookline, Needham, Dedham, Canton, Milton, and Quincy. The Charles River separates Boston from Watertown and the majority of Cambridge, and the mass of Boston from its own Charlestown neighborhood. To the east lie Boston Harbor and the Boston Harbor Islands National Recreation Area (which includes part of the citys territory, specifically Calf Island, Gallops Island, Great Brewster Island, Green Island, Little Brewster Island, Little Calf Island, Long Island, Lovells Island, Middle Brewster Island, Nixes Mate, Outer Brewster Island, Rainsford Island, Shag Rocks, Spectacle Island, The Graves, and Thompson Island). The Neponset River forms the boundary between Bostons southern neighborhoods and the city of Quincy and the town of Milton. The Mystic River separates Charlestown from Chelsea and Everett, and Chelsea Creek and Boston Harbor separate East Boston from Boston proper. The citys water supply, from the Quabbin and Wachusett Reservoirs to the west, is one of the very few in the country so pure as to satisfy federal quality standards without filtration. A global city, Boston is placed among the top 30 most economically powerful cities in the world. Encompassing $363 billion, the Greater Boston metropolitan area has the sixth-largest economy in the country and 12th-largest in the world. 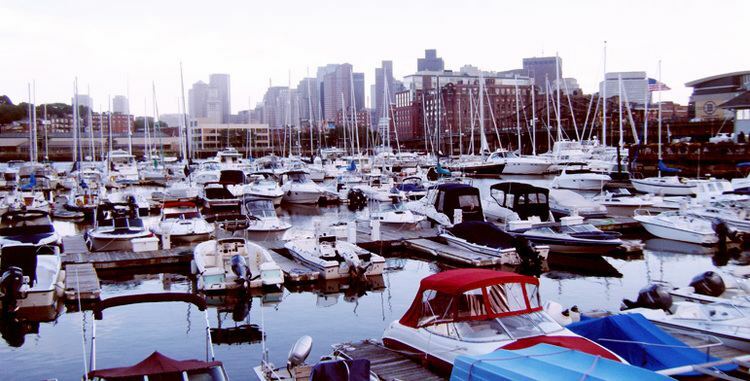 Boston shares many cultural roots with greater New England, including a dialect of the non-rhotic Eastern New England accent known as Boston English, and a regional cuisine with a large emphasis on seafood, salt, and dairy products. Irish Americans are a major influence on Bostons politics and religious institutions. Boston also has its own collection of neologisms known as Boston slang. Boston has been called the "Athens of America" for its literary culture, earning a reputation as "the intellectual capital of the United States." In the nineteenth century, Ralph Waldo Emerson, Henry David Thoreau, Nathaniel Hawthorne, Margaret Fuller, James Russell Lowell, and Henry Wadsworth Longfellow wrote in Boston. Some consider the Old Corner Bookstore, where these writers met and where The Atlantic Monthly was first published, to be "cradle of American literature. In 1852, the Boston Public Library was founded as the first free library in the United States. Bostons literary culture continues today thanks to the citys many universities and the Boston Book Festival. Music is cherished in Boston. The Boston Symphony Orchestra is one of the "Big Five," a group of the greatest American orchestras, and the classical music magazine Gramophone called it one of the "worlds best" orchestras. Symphony Hall (located west of Back Bay) is home to the Boston Symphony Orchestra, (and the related Boston Youth Symphony Orchestra, which is the largest youth orchestra in the nation) and the Boston Pops Orchestra. The British newspaper The Guardian called Boston Symphony Hall "one of the top venues for classical music in the world," adding that "Symphony Hall in Boston was where science became an essential part of concert hall design." Other concerts are held at the New England Conservatorys Jordan Hall. The Boston Ballet performs at the Boston Opera House. Other performing-arts organizations located in the city include the Boston Lyric Opera Company, Opera Boston, Boston Baroque (the first permanent Baroque orchestra in the US), and the Handel and Haydn Society (one of the oldest choral companies in the United States). The city is a center for contemporary classical music with a number of performing groups, several of which are associated with the citys conservatories and universities. These include the Boston Modern Orchestra Project and Boston Musica Viva. Several theaters are located in or near the Theater District south of Boston Common, including the Cutler Majestic Theatre, Citi Performing Arts Center, the Colonial Theater, and the Orpheum Theatre. There are several major annual events such as First Night, which occurs on New Years Eve, the Boston Early Music Festival, the annual Boston Arts Festival at Christopher Columbus Waterfront Park, and Italian summer feasts in the North End honoring Catholic saints. The city is the site of several events during the Fourth of July period. They include the week-long Harborfest festivities and a Boston Pops concert accompanied by fireworks on the banks of the Charles River. Because of the citys prominent role in the American Revolution, several historic sites relating to that period are preserved as part of the Boston National Historical Park. Many are found along the Freedom Trail, which is marked by a red line of bricks embedded in the ground. The city is also home to several art museums, including the Museum of Fine Arts and the Isabella Stewart Gardner Museum. The Institute of Contemporary Art is housed in a contemporary building designed by Diller Scofidio + Renfro in the Seaport District. The University of Massachusetts Boston campus on Columbia Point houses the John F. Kennedy Library. The Boston Athenaeum (one of the oldest independent libraries in the United States), Boston Childrens Museum, Bull & Finch Pub (whose building is known from the television show Cheers), Museum of Science, and the New England Aquarium are within the city. Boston has been a noted religious center from its earliest days. The Roman Catholic Archdiocese of Boston serves nearly 300 parishes and is based in the Cathedral of the Holy Cross (1875) in the South End, while the Episcopal Diocese of Massachusetts, with the Cathedral Church of St. Paul (1819) as its episcopal seat, serves just under 200 congregations. Unitarian Universalism has its headquarters on Beacon Hill. The Christian Scientists are headquartered in Back Bay at the Mother Church (1894). The oldest church in Boston is First Church in Boston, founded in 1630. Kings Chapel, the citys first Anglican church, was founded in 1686 and converted to Unitarianism in 1785. Other churches include Christ Church (better known as Old North Church, 1723), the oldest church building in the city, Trinity Church (1733), Park Street Church (1809), Old South Church (1874), Jubilee Christian Church and Basilica and Shrine of Our Lady of Perpetual Help on Mission Hill (1878).